My Guide Krakow is part of the global My Guide Network of Online & Mobile travel guides that can showcase your business and CONNECT you to targeted potential customers 365 days a year. 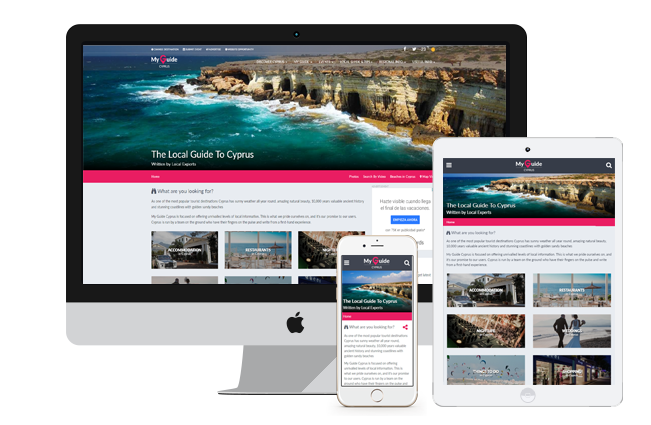 With over 20 million users and growing My Guide is the smart choice for travellers and locals too that are looking for up to date information and gems of knowledge about a destination of their choice. Our Dedicated Business Profile allows you to stand out from your competitors by appearing above all free directory listings on the website and also offers a host of marketing features. This opens the door to direct engagement from potential customers. We help you make the most of your marketing budget with cost effective solutions. Gain the MAXIMUM EXPOSURE for your business with a Platinum Business Profile. A video is a powerful and an irreplaceable marketing tool that gives a clear visual presentation of a company. Video presentation always looks creative and captivating with a 2 minute video containing as much info as 30 minutes of reading. 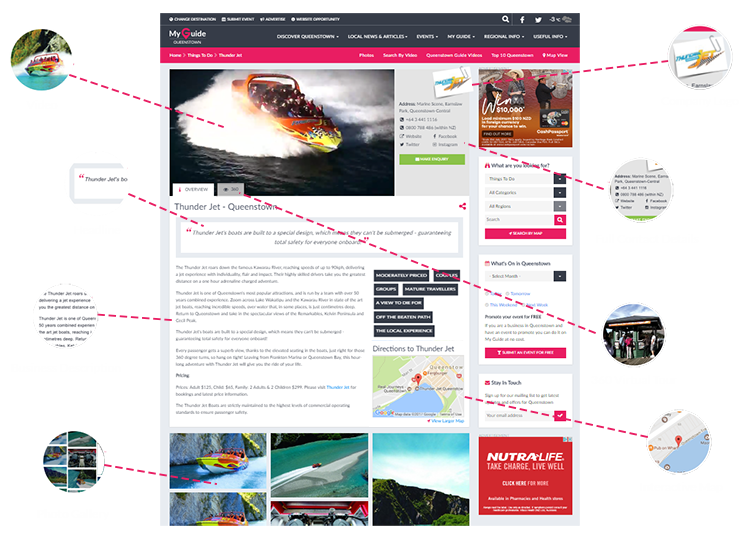 Increase your business visibility on 'Google Maps', 'Google Search' and your 'Google Business page' with an enhanced profile and attract customers with an immersive look inside your business. Hotels can also boost their display in Google Hotel Search. * Extra Services are dependant on the destination. Please ask for details. Why do you need a professional promo video? Video presentation always looks creative and captivating. A 2 minute video can contain as much info as 30 minutes of reading. YouTube is the world's #2 search engine! After Google, YouTube is the world's #2 search engine with 1 billion users. People watch hundreds of millions of videos every day, generating billions of views. Landing pages that contain video have 80% better conversion. After watching a presentation video, users spend more time on the website. According to comscore.com analysis, 64% of buyers make a decision in favor of a purchase after watching the presentation video. 60% of people share their experiences and videos that they like. Businesses with a video are shared three times more often!